Designed by José María Olazábal, Education City Golf Club in Doha, Qatar is the latest world-class destination to join worldclass.golf – a portfolio of the world’s premier golf courses, destinations and resorts. Located on the outskirts of Doha, Education City Golf Club is set against the backdrop of the Education City Stadium that will host FIFA World Cup 2022 matches up-to the quarter final stages. 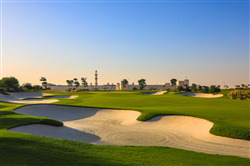 Olazábal has designed a 33-hole facility that includes as its centrepiece, an 18-hole championship course that weaves it way through desert and wadi terrain, with the first few holes purposely designed to route golfers to an ancient wadi wall that sets the tone for the remainder of the on-course experience. Education City’s six-hole course features two par 3’s, three par 4’s and one par five and has been designed by Olazábal to allow juniors, beginners and families the opportunity to experience a world-class golf course in a shorter format. A floodlit nine-hole par 3 course completes the offering, with holes ranging from 100-175 yards in length. The Centre of Excellence at Education City provides world-class practice facilities, and is destined to become one the regions best seats of learning. With state-of-the-art equipment including Trackman, Putting Lab, Swing Studio and a double-ended driving range, the Centre of Excellence at Education City was the crowning glory which lead to an invitation to join worldclass.golf, according to publisher and managing director, Michael Lenihan who visited the destination last month.